Here, from friend Hugo Sleestak, is a very rare commercial for Laub's Bread, made locally by Laub's Bakery in Cleveland. Conway (at the time known as Tom) is the harried shopper who buys Laub in the new wrapper "because my wife told me to"..Anderson plays the Grocery clerk. 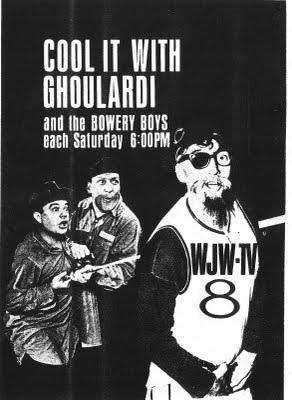 There's a chance this was made at KYW-3, as both Anderson and Conway were channel 3 employees before moving to Channel 8 in 1961..Very funny spot..
85 year history in Cleveland..
Encore-Big Wilson at WCIX, Miami - 1978!! Big Wilson at WCIX, Miami - 1978!! Uploaded by videohollic. - Classic TV and last night's shows, online. 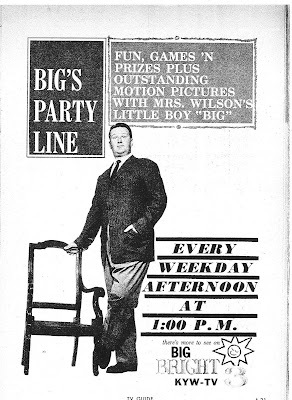 This is an "encore" of a post I did September 10, 2008 on "Big" Wilson. The video on the original post had disappeared so I replaced it with a copy from dailymotion.com and just decided to redo it.. I've mentioned many times in the past about "Big" Wilson, who worked at KYW-TV and Radio from roughly 1956-61. He was a busy fellow, doing a radio show in the morning, hosting a movie show on tv in the afternoon, and doing a weather forecast in the evening. He later spent many years in Miami, doing TV movie hosting on WCIX-TV 6.. Here from Videoholic, is several minutes of Big Wilson hosting "Nite Owl Theater" on Miami's Channel 6..along with some commercials..Wondering if anyone would know if he did his KYW-TV hosting in this way..sitting at a piano and just conversing..It would be absolutely amazing to say the least if anything like this was saved anywhere from his Cleveland days..
Mary Travers, One-third of the famed folksinging trio Peter, Paul and Mary..Passed away yesterday following complications from Chemotherapy..She was 72..
Peter, Paul and Mary's career, first from 1961-70, then from 1978-present, was extremely successful, as they were the leading folksinging group in the USA, with hit songs Including If I had a Hammer, Puff The Magic Dragon and Lemon Tree. The group made many appearances on American, British and Australian Television. Mary had a solo careeer from 1970-78, in which she produced 5 albums..
You may not be a fan of Folk Music, but it's hard not to enjoy Peter, Paul and Mary's excellent blend of harmony-and Mary Travers was a great part of that..Prayers to her Family and to Peter Yarrow and Noel Paul Stookey..
1964 TV Guide Ad for "Masterpiece Theatre" Ghoulardi's Saturday Show..
DVDs of "American Scary" a documentary about the Horror-Host Phenomenon throughout the USA from the 50's through the 90's..produced a couple years ago..will be available from Horror Host and historian Doktor Goulfinger.. 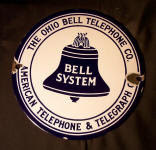 Many other events and guests scheduled/to be announced..
Cleveland section preview of the DVD "American Scary"..Talking about the legacy of Ghoulardi and his popularity in Cleveland..
Today I'd like to present a real "Blast from the Past" as it were..From about 1947-1967 Ohio Bell Telephone Company, with help from Producer Frank Siedel, sponsored a radio series called "The Ohio Story" on stations throughout Ohio, broadcast from Cleveland 3 times a week.. In the early 1950's The Ohio Story began a Television Version, a once weekly filmed program 10 minutes in length..Ohio Industry, Geography , Art, Communications and History were among the subjects on "The Ohio Story".. The Narrator was Nelson Olmsted, a nationally known actor in Radio, Films and Television.. 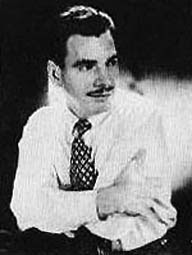 He began as Radio and TV narrator June 2, 1952, according to a report in the Toledo Blade at the time.. Anyone that has info on other TV stations airing Ohio Story throughout the rest of Ohio please message or email me..thanks.. I have been looking for many years for a sample of one of these "Ohio Story" episodes on YouTube..Thanks to YouTube user Retro Toledo, a friend of long standing on many message boards and sites, I finally found one.. I apologize for the quality as understandably, 50 or more year old film is not going to look "pristine" Thanks again to Retro Toledo for sharing.. Here's a nice rarity courtesy Ray Glasser (Videoholic 50'sthru70's) and YouTube.. There appears to be a part 6 but it's not posted as yet if/when it is, I will include it..